Whoooooa, we're half way there! Whooooooa, livin' on a prayer! This week has been the Canberra International Music Festival and I've been quite involved in the percussion. We've had rehearsals and concerts all week and there's more today! Today I dagged around in my pants. It was Mothers' day so we also had to do the rounds! I was also proud because I didn't wear makeup all day - not even when I went into rehearsal. 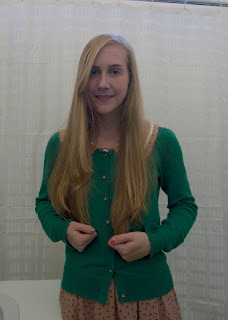 A pretty gooby photo of an unblogged Miette cardigan! Taught all day and rehearsed all night! I was a bit mad by the time this photo was taken. This outfit looks the same as last Monday but it's different because I'm wearing a dress, not culottes! And of course my Chuck jumper. This is the Colette Hawthorn dress. 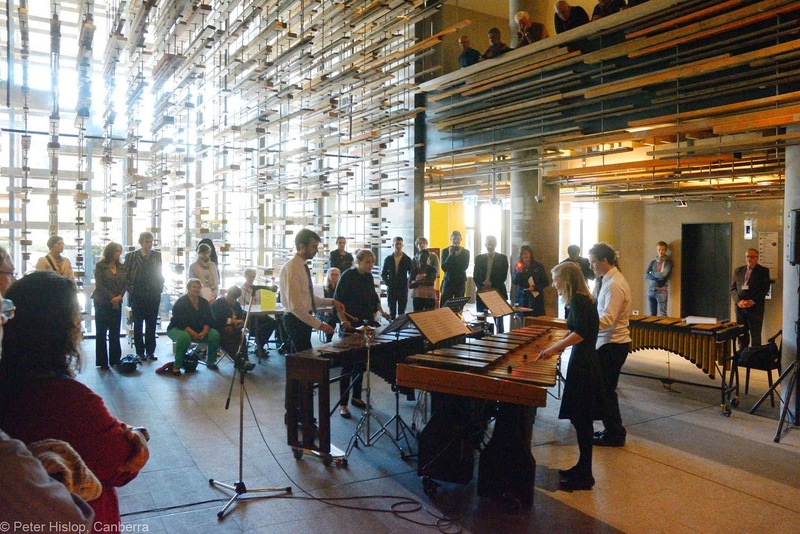 No good photo today but here's a photo of our marimba quartet performing in the Nishi building in Canberra. 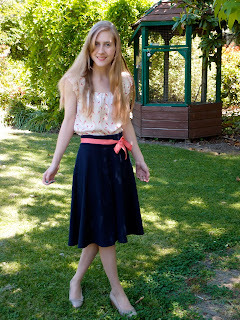 I wore a new Lady Skater Dress (unblogged) which I made the evening before! It's a nice soft stretchy viscose. We had this concert and then later had another orchestral concert. Big day! Another (different) lady skater dress made of ponte this time. Because it has less stretch it feels a little tight but it's acceptable. My cardigan is my Milena. I had to take it off to perform, naturally. Turns out I really like this cardigan after all! The only annoying thing is all the buttons, so generally I take it off like a jumper without undoing them. The concert on Thursday was at the Canberra Glassworks. They had made us glass xylophone bars, which sounded bad on their own but rad when we put them over my xylophone resonators. Super cool! A bit of a cheat, but I'm just wearing my alpaca scarf this time. My cardigan and dress are both from Review! So this month is pretty hard actually… I just want to bung on some jeans! My handmade skirts are not nearly as wearable as I thought and I only have like two blouses. Not sure whaht to do since I have zero time in the next few days to fix anything up.